Every pumpkin you buy and every dollar you donate feeds hungry children. Buy A Pumpkin Feed A Child gives 100% of the proceeds directly to children and families in our local community of Gainesville and in Guatemala. Lace up your sneakers and join the Buy A Pumpkin Feed A Child pumpkin patch for their inaugural Pumpkin Run - 5K. 100% of the proceeds from the Buy A Pumpkin Feed A Child Program goes to feed hungry children in Alachua County and in Central America. Every registrant receives a race shirt, homemade pumpkin bread and a coupon for a free pumpkin from the patch. This is an event for all ages, so bring your entire family, including your pets! As a donor, you can rest assured that your money is working hard to improve lives for communities in need. We go to great lengths to equip our volunteers and build relationships in the communities we serve for this reason alone – to make sure that we are creating the most impactful, measurable programs on the ground. Our work is built on the foundation of long-term commitment and earned trust. Our model focuses on quality food, education and health to support our local communities as well as developing areas of Guatemala. By concentrating resources on the targeted needs of specific communities in North Florida and Guatemala, your donation goes a long way to transforming the lives of those in need. Access to quality food, education, and health can transform a community forever. These three basic human rights are the heart of what we do. Your partnership makes an immediate difference for families in need. Guatemala is the most impoverished and malnourished country of the Western hemisphere. Most children only eat one small tortilla each day. As a means to combat hunger and malnourishment among children, Gainesville Church of God (alongside our mission partners, Flames of Fire Ministries) has built and supports 7 feeding centers that feed, clothe, and educate more than 500 hundred children on a continual basis! 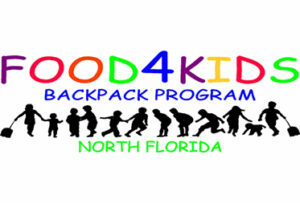 We support Food4Kids of North Florida, which is a non-profit organization and is 100% volunteer run. The vision of Food4Kids aligns with our own - No more hungry children. Help us end hunger among children within our community. Learn more by visiting Food4Kids website. The Salvation Army is an international movement that supports families within our local communities. 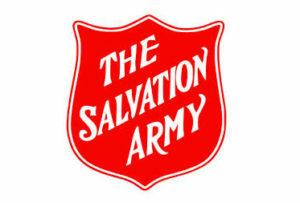 The Salvation Army of Gainesville is actively involved in providing food and housing for children, families, and the homeless. If you'd like to learn more, visit their website here.